YOU NEED TO HEAR THIS. 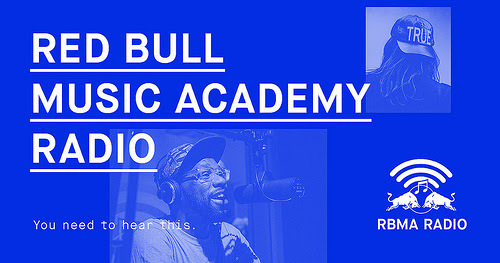 Red Bull Music Academy’s RBMA Radio has re-launched as a 24-hour linear broadcasting service with programming from six continents, bringing local music scenes from across the world to you. Tune in now on the web at rbmaradio.com, or download the app for iOS and Android phones. RBMA Radio celebrates the best in music and culture with hosts you know and respect, from artists like Tune-Yards, Earl Sweatshirt, Kindness, Chelsea Wolfe, DâM-FunK, Mixpak and Teklife to music journalists and longtime Academy team members like Vivian Host and Shawn Reynaldo, hip hop scholar Andrew Noz (Cocaine Blunts), Frosty (Dublab) and Sam Hockley-Smith (New York Times Magazine, The FADER). Whether it’s the latest dancehall out of Kingston, techno from Berlin or old soul gems – you’ll know what you were looking for when you hear it. The team behind RBMA Radio searches the world to find the greatest music and seek out the stories that will challenge, entertain and inspire you. Among the 40-plus new programs airing on RBMA Radio are Counter Intelligence, which gets the stories behind some of the most iconic record stores straight from the personalities who run them; Music in Film, a deep dive into the world of film scores with the extraordinary composer Brian Reitzell; and United States of Bass, celebrating bass-music pioneers from across America – from Detroit ghettotech to Atlanta trap and Miami bass. RBMA Radio also zeroes in on local scenes in four key US cities: The Slice profiles the sounds that are shaping New York City right now; Bizarre Ridecruises through the freeway-ready funk, blistering gangsta rap and rampaging guitar rock of Los Angeles; Cruisin’ in the ATL meets Atlanta’s hottest artists and blasts the latest in Southern rap; and Deepest Dish spotlights some of the brightest minds in Chicago music. For a more global perspective, Scenerybeams out daily reports on the local music scenes in cities as far-flung as Cairo, Nairobi, Sao Paolo, Shanghai and Tokyo. The RBMA Radio team has been celebrating its updated platform with pop-up stations around the country, including New York City and Detroit in May and an upcoming weeklong broadcast from Atlanta in August. For the next two weeks, RBMA Radio is in the heart of the Arts District in Downtown Los Angeles, broadcasting live interviews, DJ mixes and special performances from the city’s diverse musical landscape, plus LA-centric episodes of current programs. RBMA Radio also provides exclusive access to events around the world, including livestreams from Red Bull Music Academy festival stages at Sonar in Reykjavik and Barcelona, Movement in Detroit and Mutek in Montreal, and intimate, sold-out sessions with such luminaries as Spike Lee, Madlib and Pharaoh Sanders with Kamasi Washington and the Sun Ra Arkestra. The station is also home to breaking music news, with artists like Blood Orange, D’Angelo and A$AP Rocky premiering new songs live on air. 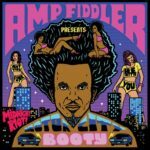 Check out the full schedule at rbmaradio.com, because you need to hear this. Check out the all new RBMA Radio, featuring artist-hosted shows from tUnE-yArDs, Earl Sweatshirt, Kindness, Chelsea Wolfe, DâM-FunK & more. Listen now on the web or download the app for iOS and Android.